So often these days we are writing and Producing Tracks as we go. There’s nothing wrong with that at all and in many ways it mirrors what a lot of great bands did to create some of the most amazing albums of all time! Today I’d like to examine one song I wrote (with the Artist), Produced, played most of the instruments and mixed at my own studio. The song is ‘Shoot You Down’ by Little Empire. I am going to talk about all of the areas of Production. 1. Your Workflow. This is one of the most important parts of the process, it shouldn’t be underestimated. I keep things set up and ready to go at any given notice. I can pick up an Electric Guitar, Bass, Sing or sit behind my Drum Kit and play at any time. Now for many of us that might not be that easy, primarily because you may only have a 1, 2, 4, 6 or 8 input IO. That is where a Patch Bay comes into life! Having mics or DI’s patched permanently into a Patch Bay makes it easy to patch directly into your IO. 2. Organize your DAW. This is as simple as having a very basic Template. Having your Drum mic inputs ready to go, labelled Kick, Snare. HiHat, Rack, Floor, Overheads etc, your Bass Guitar, Keys, Virtual Instruments, such as Synths or Virtual Drums such as Addictive Drums, Easy Drummer, Slate Trigger. Essentially all of the things you use regularly. 3. Don’t Focus Too Soon on Sound Design. As you can see in the Little Empire Song I added some sound design, some ‘swooshes’ and other noises and explosions! However they came after I had written the chorus and wanted to enhance it. Spending too much time on these early on would take time away from the writing and Production stage. 4. Too Much Time Tweaking All of us are guilty of this!! There have been so many time where I have spent hours tweaking an Electronic snare when I could have spent 2 mins choosing one that fit better! This is where taking a break from one area is a great idea! In a rut on the snare or Bass sound? Try a a different snare or Bass, or simply work on another part and come back with fresh ears! 5. Monitor In More Than One Way Speakers are the ideal way that most name Mixers Monitor. However, most of the time they are in Acoustically well treated rooms that they probably know very well! Most people working at home won’t have this option, it’s very likely you will have Acoustic issues in your Room and that can effect the way you hear the mix, leading you to boost or cut frequencies incorrectly. Headphones, that you know well, are an excellent way to check your mixes! AND do not underestimate the car test, if you listen to music in your car frequently you will know how it sounds, so triple check it there! Bottom end issues, in particular, will be very evident with most Car Stereos! 6. Use Stereo Enhancement Sparingly Stereo Enhance is fun, it’s also very dangerous, it can leave a mix sending hollow and can cause all kinds of Phase/Polarity issues. I tend to only use Stereo Enhancement on certain Pads or Synths that need to be widened to create more space for the Vocal, Kick, Snare or Bass in the centre of the mix. 7. Monitor at Lower Levels Save you ears! They are your best tools!! Monitoring at high levels for extended periods of time can not only give you completely the wrong idea of how your mix sounds but can give you hearing damage. If you have to listen loud, do it for very short periods of time and then return to a lower level to do detailed, repetitive work. 8. Know Your Plug Ins It’s better to have a handful of plug ins that you know than 100’s you’ve never tried! Of course you can expand your Plug In Library as you progress, I love all the ones I have collected! However, know the ones you have well. Especially with Effects One or Two reverb plug ins will give you many choices, many delays have multiple emulations within just one plug in and with EQ and Saturation you can adjust them dramatically. 9. High Pass The Super Low Frequencies Just because your small monitors in your home studio don’t reproduce 20, 30 or even 40 Hz doesn’t mean it’s not there! You can tighten a kick drum by removing 20 Hz and below will really open up and focus your low end. If you’re unsure of what’s going on in the low end then use frequency analysers and you’ll notice low end rumble that’s taken energy away from your mix and causing an enormous amount of mud. 10. 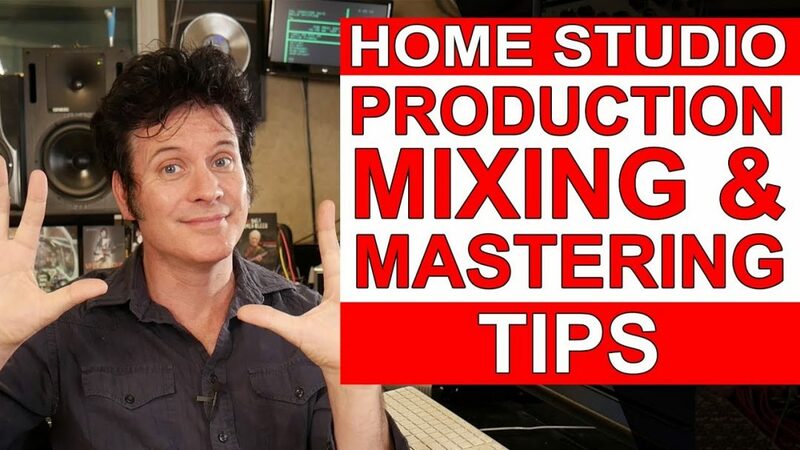 Don’t Overdo Your Master Bus Processing This is big subject! So many of us annihilate the Master Bus in order to get volume! Be cautious, mix with just gentle compression and light EQ on the Master bus and if you can ‘Master’ the song properly at a alert date. If you can’t then be judicious how much Limiting you use, a small amount will bring up the level nicely, shave a few harsh transients, too much will flatten your mix and lose all sense of dynamics and depth.